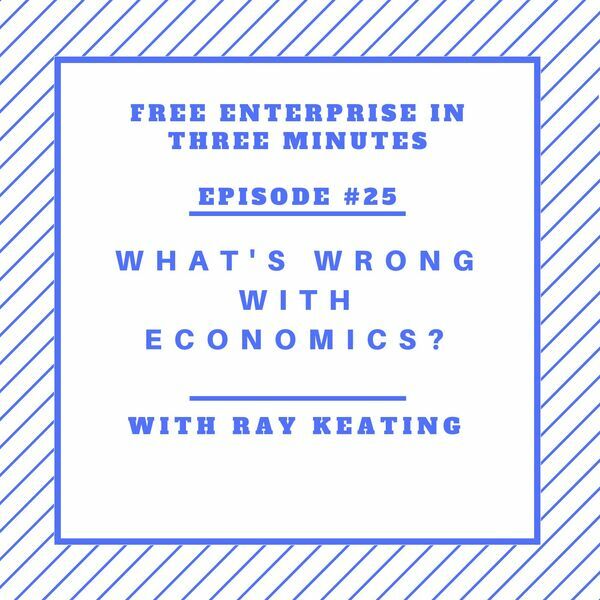 Free Enterprise in Three Minutes Podcast with Ray Keating - Episode #25: What’s Wrong with Economics? Episode #25: What’s Wrong with Economics? Turning to help from Henry Hazlitt, one of the great economic thinkers of the 20thcentury, Ray Keating looks to answer the question: Why is economics plagued by so many fallacies?